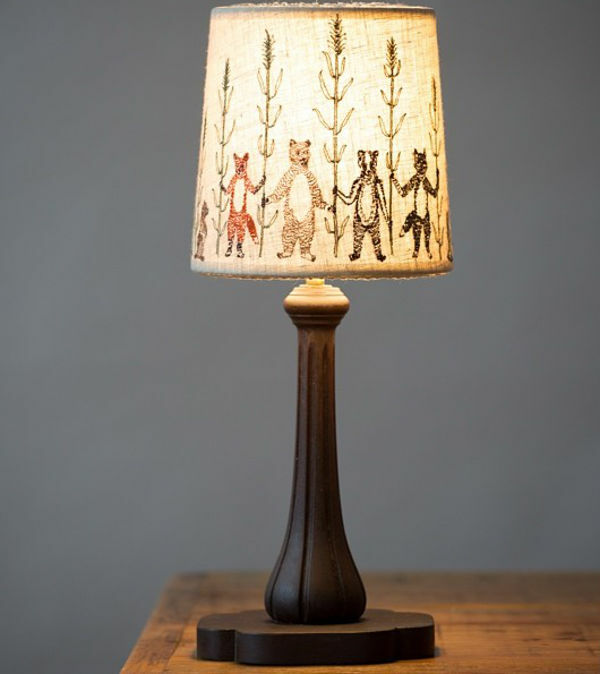 Lampshades or works of art? You be the judge. 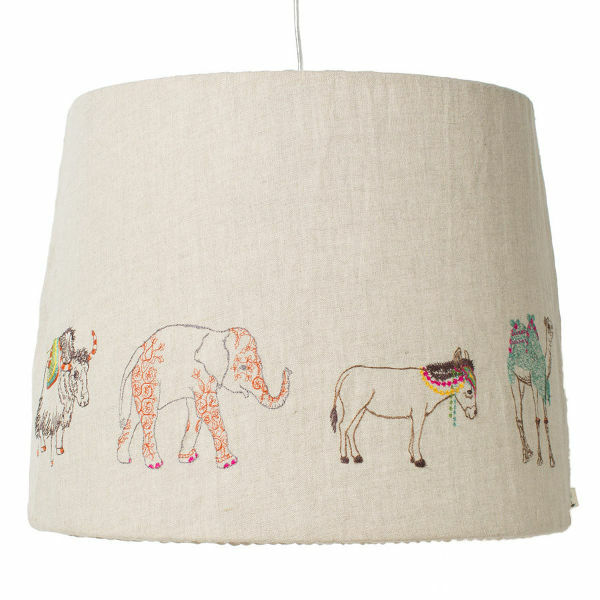 Oozing a folksy and handmade vibe, these stunning lampshades could be the crowning jewel in any well designed nursery. Coral & Tusk have a wonderful knack for creating these beautiful, muted pieces that lend themselves to furnishing a nursery. 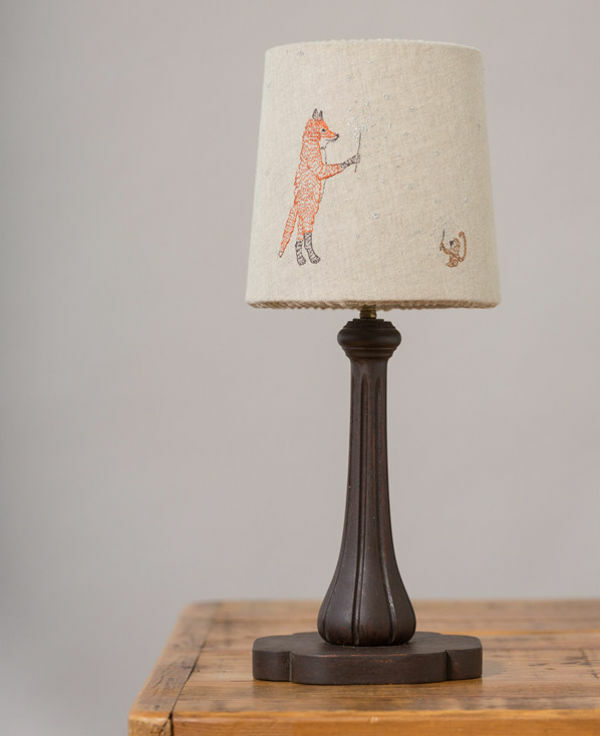 The lampshades have the most adorable characters (sometimes woodland, other times African) embroidered onto pure linen. The light shines through the linen to create a soothing glow and highlights the sublime embroidery. 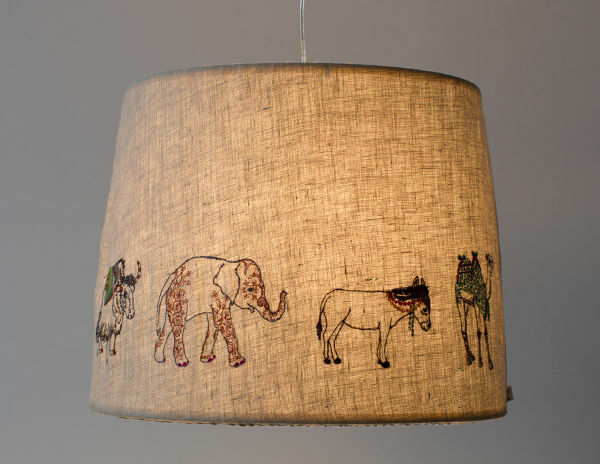 The lampshades come with a cord so they can be used as a ceiling shade, or can be used on an existing lamp. 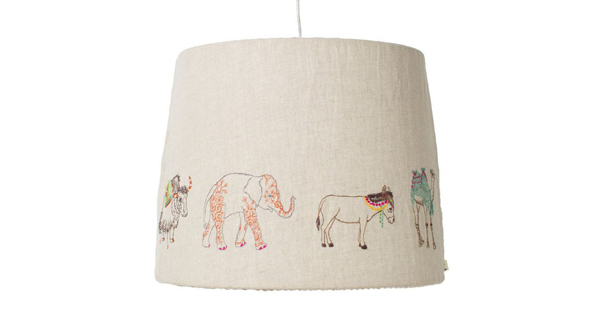 These stunning shades, which are made in Brooklyn, are available locally through Kido Store. The large version is $229 and the smaller shade is $179.